Experts are saying that staged homes sell faster and for higher prices than those that are not, and paint color is a low-cost but effective way of showcasing your home. Check these home staging tips and ideas to help in guiding your Zero VOC paint color choices. If your wallpaper has a distracting design or is outdated, remove it and add a fresh coat of paint for a more current, updated look. ecolour low-sheen product will help reduce the imperfections on walls and ceilings. You can also use color to highlight the architectural details and features of your home. Light, clean, organized spaces appear larger. So clean and declutter, and give your walls a fresh coat of paint in a light neutral color to bring the room to life and make it seem more expansive. One home staging idea that can help expand your space visually: paint the moldings the same color as the wall, which gives an illusion of higher walls. 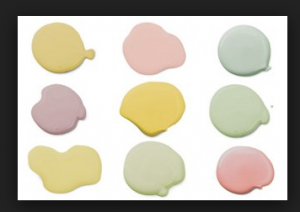 Ecolour Zero VOC non toxic paint can help you sell your home, call us today 1300 326 568.